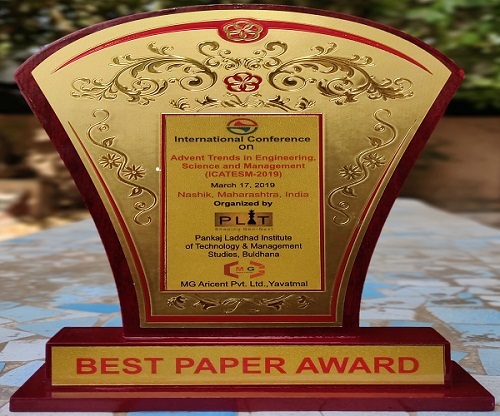 The paper title “Characterization and Utilization of Biochar derived from Pyrolysis and Co-pyrolysis of MSS and Waste Biomass as an Adsorbent” presented by Meet Chavda, Yash Kothari, Harsh Modi, Aasit Movalia and Prof Dharmesh Kapatel awarded the Best Paper Award at International Conference on Advent Trends in Engineering, Science and Management (ICATESM-2019) held at Nasik. The Conference is organized by Laddhad Institute of Technology & Management studies, Buldhana on 17th March 2019. 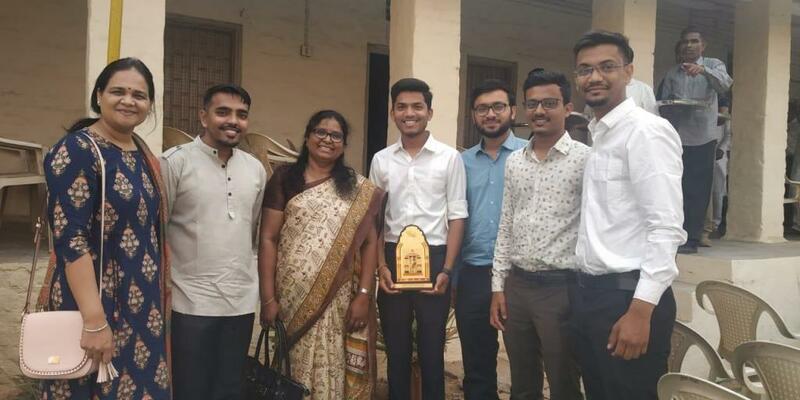 Bhavsar Yash Anilkumar, Patel Dhruv Bhadreshkumar, Jariwala Devang Nareshbhai, Thakor Vedantkumar Babubhai and Pitroda Jalpesh Rajeshbhai students of Civil Engineering Department (2014-2018 batch) received “Gaurav Puraskar” award on 3rd March 2019 by Charutar Vidya Mandal on Vallabh Vidyanagar day celebration. The award is given by the chairman of CVM in the presence of principals, faculty members and non-teaching staff of all CVM institutes. 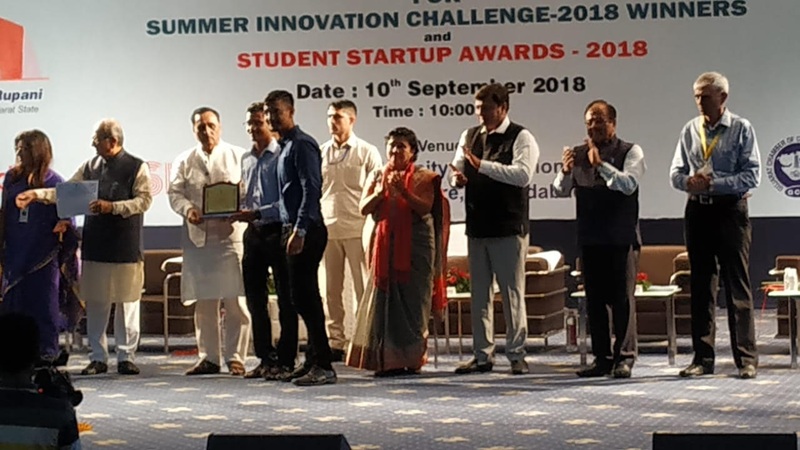 The students received the first prize in “Institutional Innovation” category of Summer Innovation Challenge 2018 by august hands of Shri Vijaybhai Rupani, Hon. Chief Minitster of Gujarat. The team received memento, certificate and cash prize of ₹ 50,000/-. The project was guided by Dr. Snehal Popli. 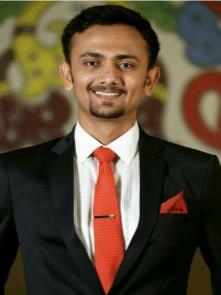 Mr. Chirag Kanagiyani, Third-year mechanical engineering student (170113119009) has filed an Indian patent on “HYBRID VERNIER- a multipurpose linear precision measuring instrument” (Application no. 201931006394, dated 18/02/2019). The proposed tool has a least count of 1 micron (0.001 mm), along with the ability to measure all the general purpose quantities and several essential quantities of threads and gears, as well. 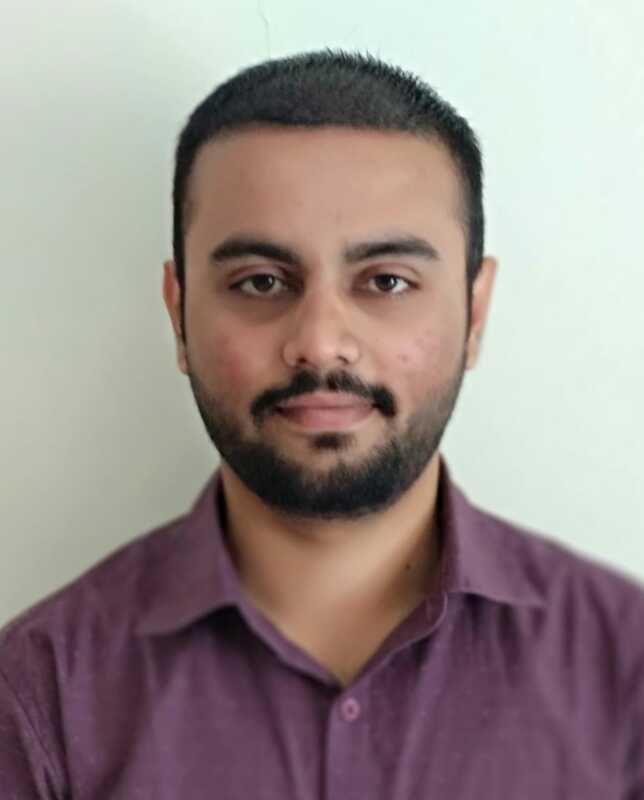 Sardar Vallabhbhai Patel National Institute of Technology(SVNIT), Surat conducted the International Conference on Recent Trends in Nanomaterials for Clean Energy [ICRTNE 2019] . 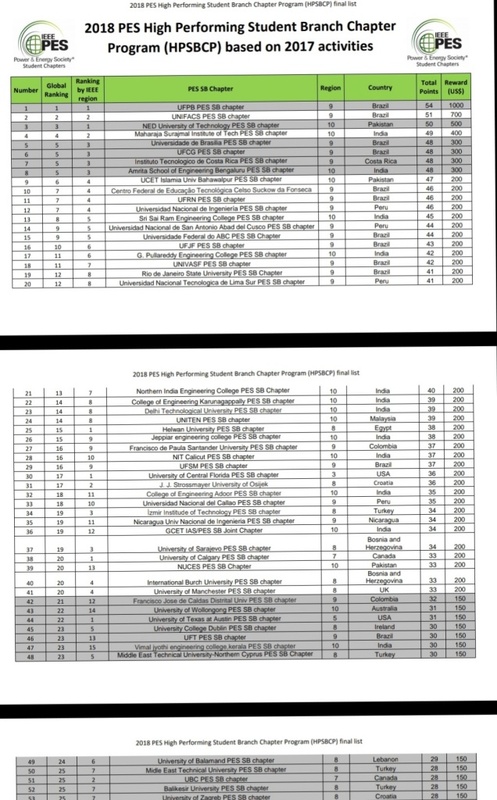 It has invited participants perusing Bachelor’s, Masters and Ph.D. degrees all over the world to present their respective posters, thesis, researches, etc. 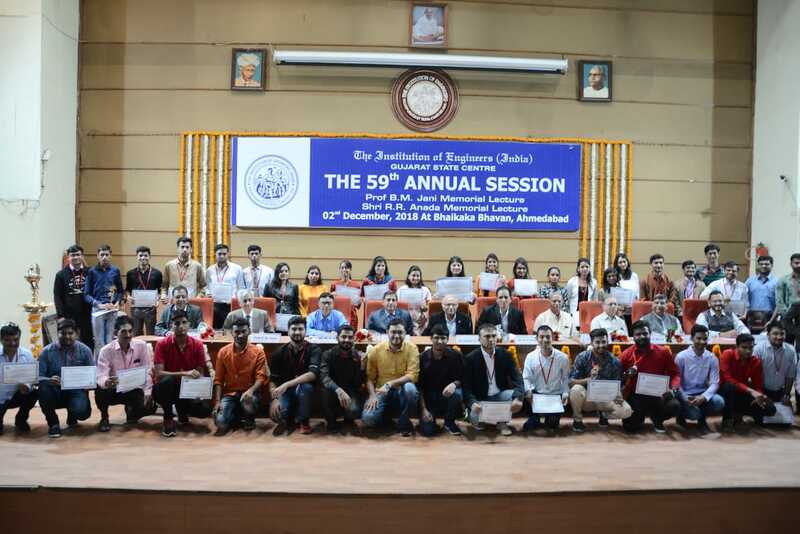 GCET students participated in the poster presentation competition . ‘SURYABIJAM- An Automated Solar Seed Sower’ by Neel Patel and Jeet Chaliawala guided by Dr. Smita Joshi, ‘BHUMIPUTRA - An Automatic Robotic Gesture Control Solar Tractor’ by Hardikumar V. Mehta and Maulik Hathi guided by Dr. Smita Joshi, ‘ANNAPURNA - The Low Cost Vertical Chulha’ by Harsh Talati and Vitul Thakor guided by Ela Jha and Dr. Smita Joshi were selected for poster presentation. There were a total of 34 participants in the poster presentation. 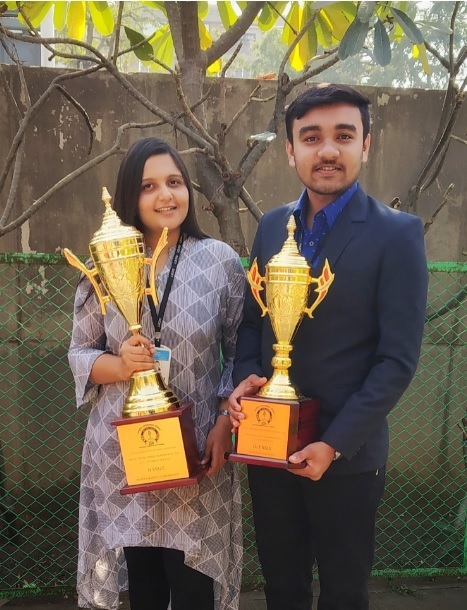 Miss Nidhi Desai and Mr. Bhagat Surajkumar Gopalbhai of Second year Mechanical Engineering student of G H Patel College of Engineering & Technology, Vallabh Vidyanagar, won 2nd and 3rd Prize respectively in Regional level Poster Competition at National Productivity Week-2019, Organized by National Productivity Council, Gandhinagar. The theme of the program was “Circular Economy for Productivity and Sustainability”. 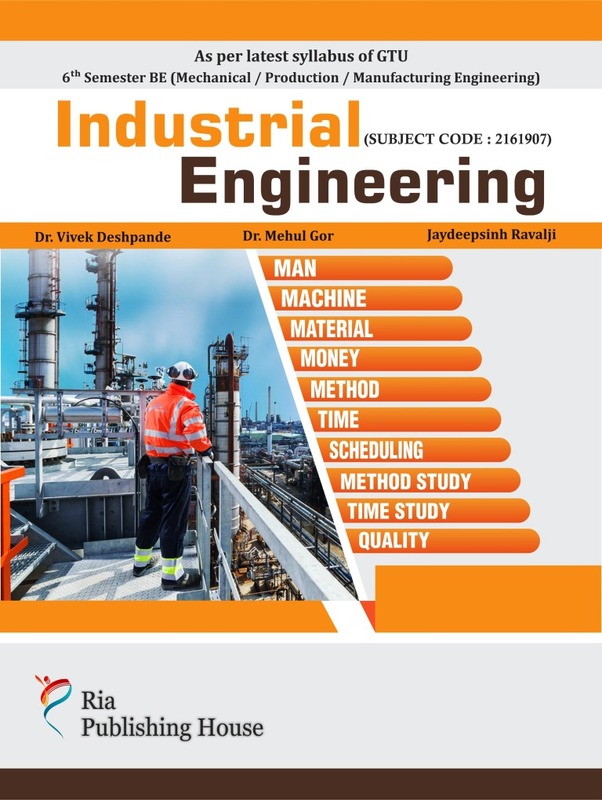 Civil Engineering students (2014-18 batch), Pitroda Jalpesh Rajeshbhai received Shri J. V. Thakkar Merit medal, Jadeja Mahipalsinh Jayendrasinh received Shri P. J. Mehta merit medal and Patel Dhruv Bhadreshkumar received Shri R J Vyas merit medal by The Institution of Engineers (India), Gujarat state centre on 2nd December, 2018. Jalpesh and Mahipalsinh received the medals for securing highest marks in civil engineering branch and Dhruv received the medal for securing 2nd highest marks in civil engineering branch in the final degree examination for the year 2017-18 from Gujarat Technological University (S P University Range). 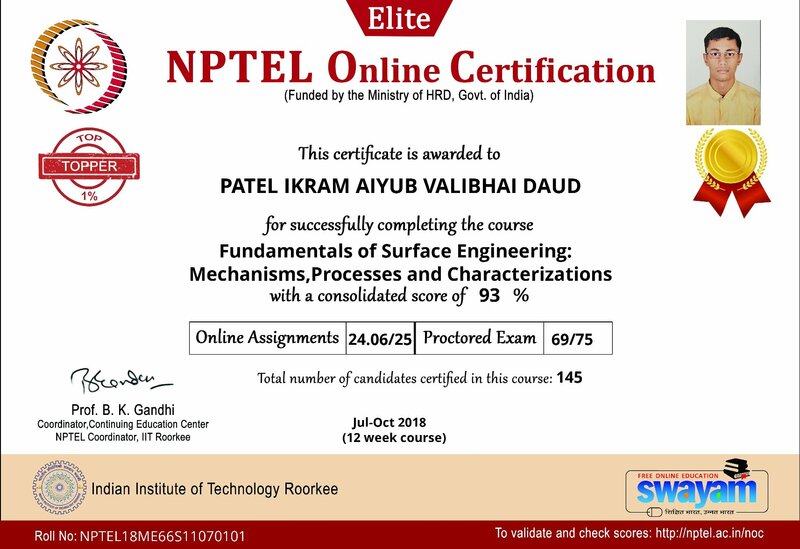 Patel Ikram (150110119074) has secured 93% score (Elite + Gold Certificate) in NPTEL Online Certification Exam of "Fundamentals of Surface Engineering: Mechanisms,Processes and Characterizations" course and he is among the Top 1% of the certified candidates. 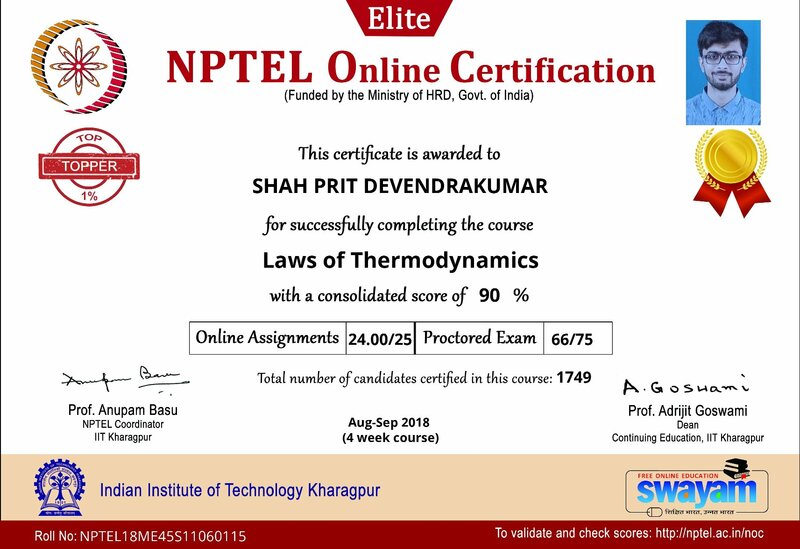 Shah Prit (150110119103) has secured 90% score (Elite + Gold Certificate) in NPTEL Online Certification Exam of "Laws of thermodynamics" course and he is among the Top 1% of the certified candidates. 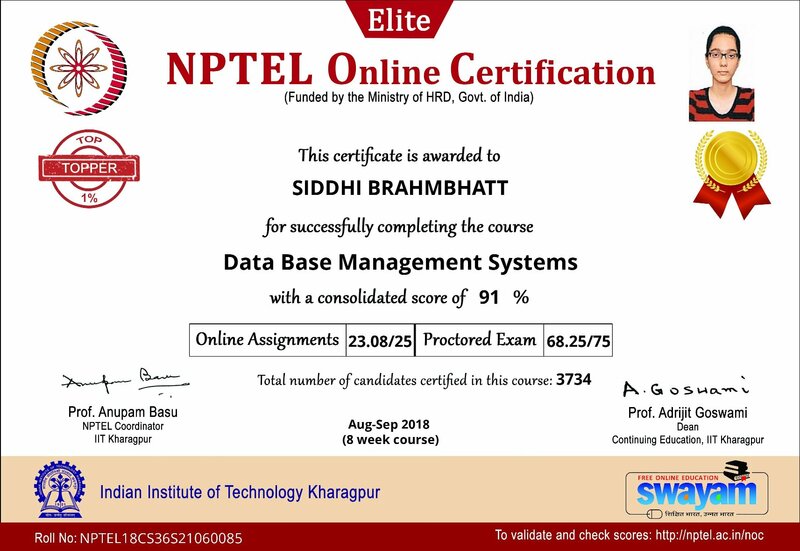 Siddhi Brahmbhatt (170110116005) has secured 91% score (Elite + Gold Certificate) in NPTEL Online Certification Exam of "Data Base Management Systems" course and she is among the Top 1% of the certified candidates. 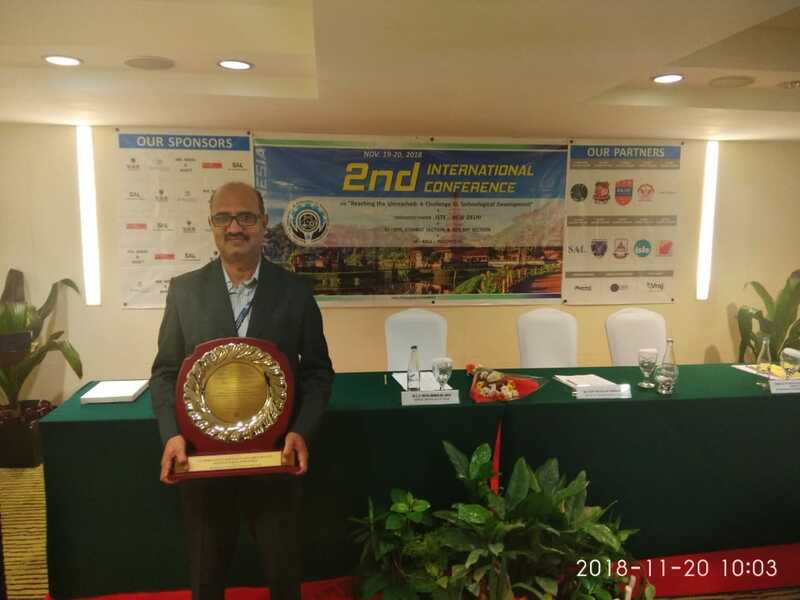 Dr. Hemantkumar R Thakkar is awarded for "Best Paper" (Management Category) in an international conference RUCTD - 2018, organized by ISTE Gujarat section during 19-20 November, 2018. 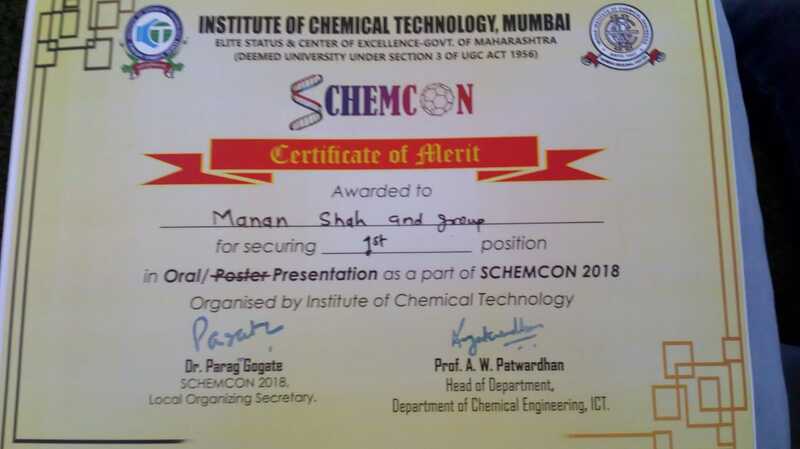 Manan Shah and Vishal of Final Year Chemical Engineering participated in oral presentation in the All India Students' Chemical Engineering Congress,(SCHEMCON)- 2018, organized by the Institute of Chemical Technology (ICT) at Mumbai and were awarded the 1st position for oral presentation of research paper. 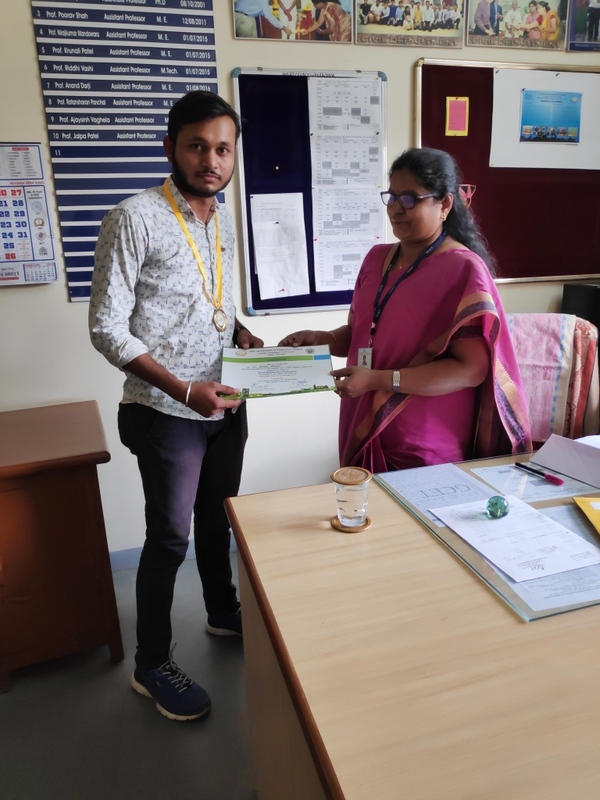 Sachin Parmar (Final year Civil Engineering student) secured second rank in the “Poster Making Competition” organised as a part of World Habitat Day celebration on 5th October, 2018 under the theme of “Municipal Solid Waste Management” hosted by A D Patel Institute of Technology, New Vallabh Vidyanagar and organised by The Institution of Engineers (India), Vallabh Vidyanagar Local Centre, Vallabh Vidyanagar. 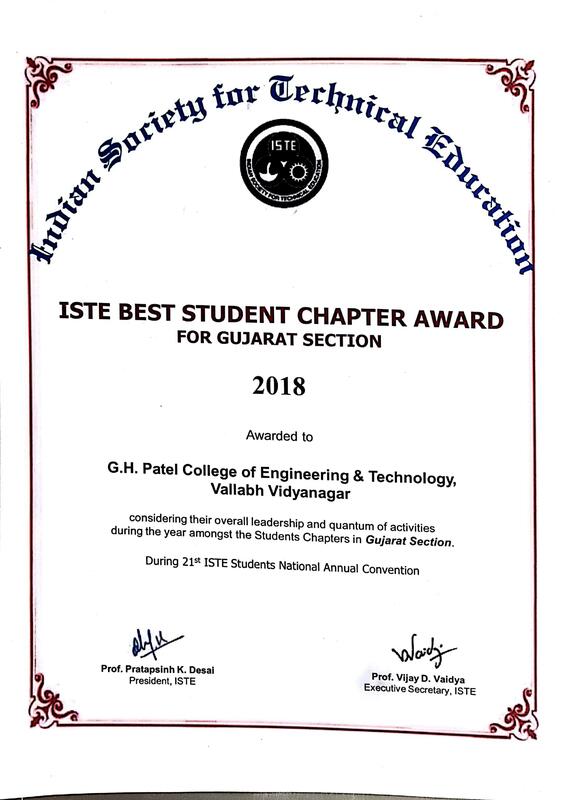 GCET ISTE STUDENT CHAPTER received BEST STUDENT CHAPTER AWARD of the state for the year 2017-18 considering the overall leadership and quantum of activities during the year amongst the Students Chapters in Gujarat section. 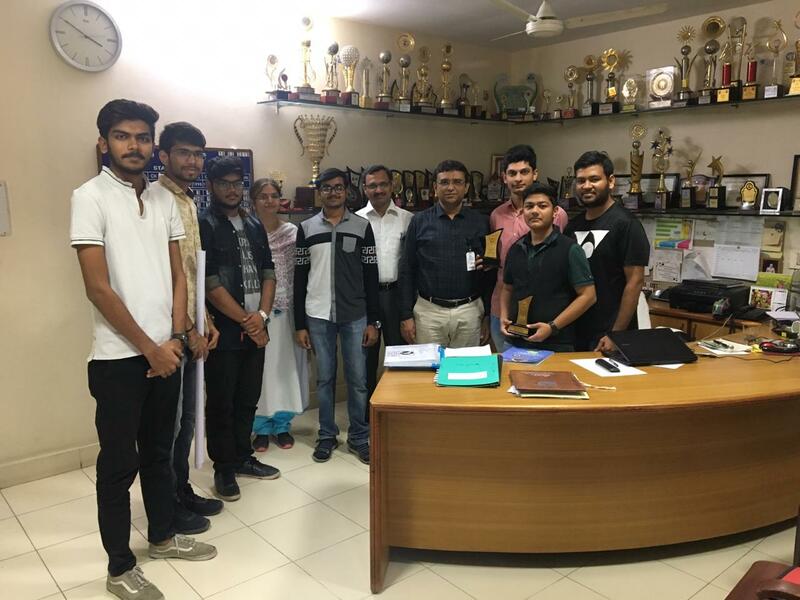 Civil Engineering students namely, Bhavsar Yash Anilkumar, Patel Dhruv Bhadreshkumar, Jariwala Devang Nareshbhai, Thakor Vedantkumar Babubhai and Pitroda Jalpesh Rajeshbhai (first pass out batch of 2014-2018) received the first prize in institutional innovation category of "Summer Innovation Challenge 2018" held at Gujarat University Convention and Exhibition center, Ahmedabad on 10th September, 2018. The team received memento, certificate and cash prize of Rs. 50,000/-. The award was presented by Shri Vijaybhai Rupani, Hon. Chief Minister of Gujarat, Shri Bhupendrabhai Chudasama, Hon. Cabinet minister of education, Gujarat and Shri Nitinbhai Patel, Deputy Chief Minister, Gujarat. 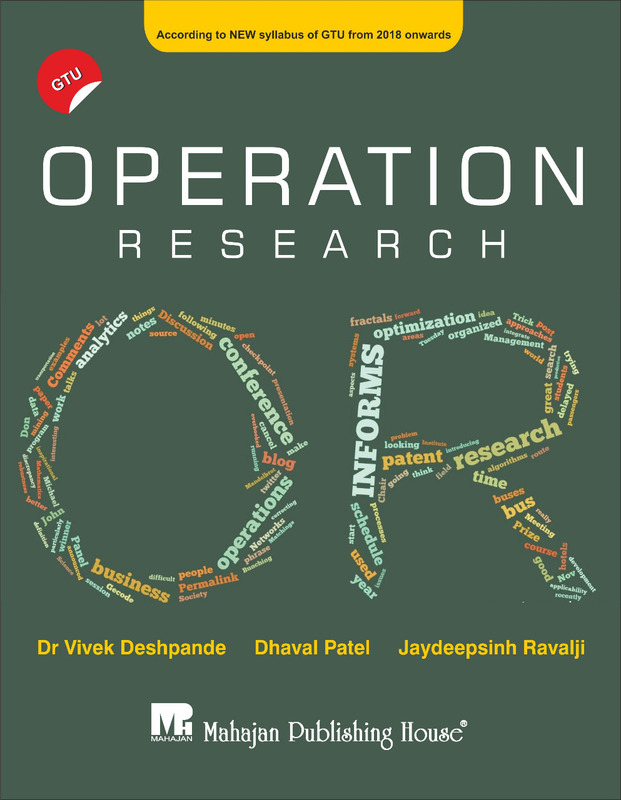 The project was guided by Dr. Snehal Popli and supported by Prof. Ratansharan Panchal. 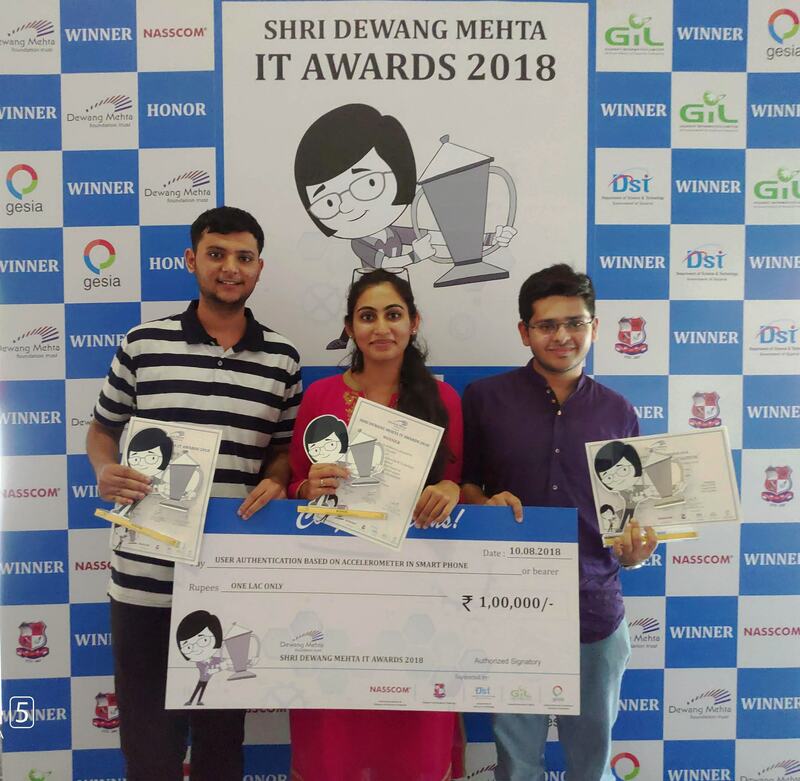 Shrey Shah, Jugal Doshi, and Rahi Gandhi, the final year Computer Engineering students awarded with Shri Dewang Mehta IT award 2018 for their project " User Authentication using the accelerometer in a smartphone " under the guidance of Prof. Priyang Bhatt and also awarded certificate, trophy and a cash prize of Rs 1 lac. The Award was given in presence of Harish Mehta (Founder of NASSCOM), Dr Navin Sheth (Vice Chancellor, GTU), NASSCOM team, Kailashben Thaker(Trustee,DMFT), Dr.Chetan Samant(West Zone head,NASSCOM),Maulik Bhansali ( Vice Chairman GESIA), Mr. Jaymin ( Secretary NASSCOM), Dr Rajul Gajjar(Vice-Chancellor, Gujarat Technological University). 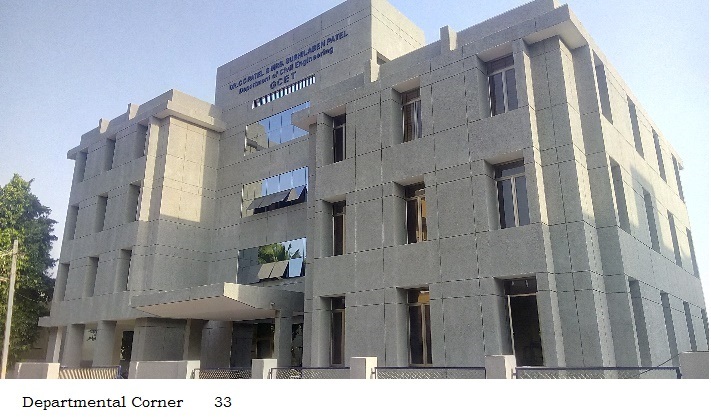 The project will now be mentored and guided by NASSCOM and GESIA. 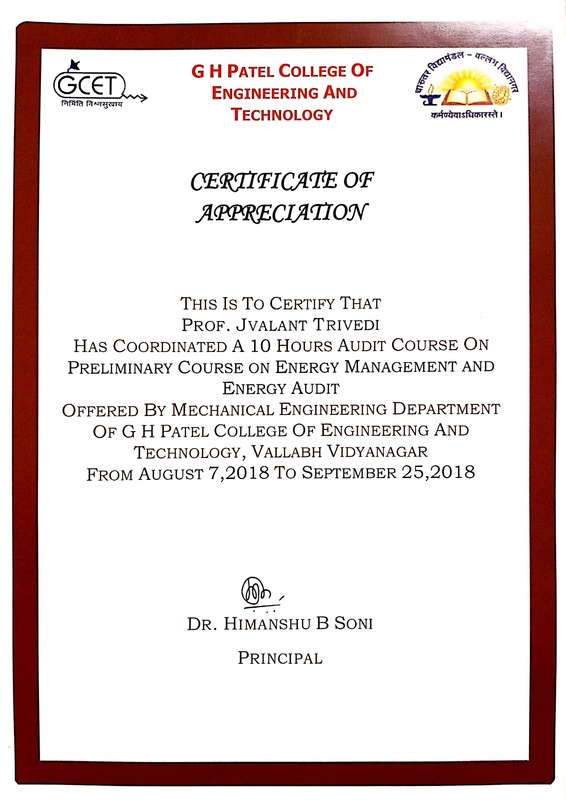 The Department of Civil Engineering, GCET secured first position with 100% results in 8th semester examination (summer – 2018) conducted by Gujarat Technological University.